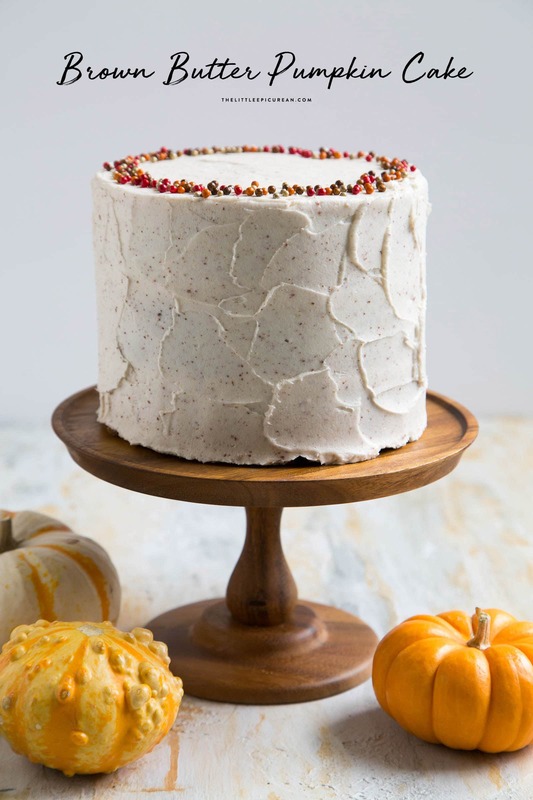 Celebrate the warm flavors of autumn with this brown butter pumpkin cake. This small, but mighty cake, is packed with delicious and intense flavors. It’s my favorite time of the year. Pumpkin season is here! 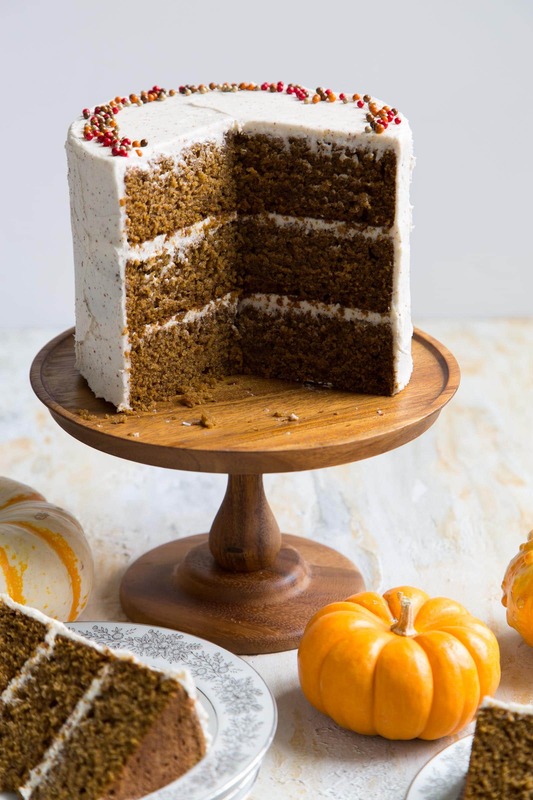 While I’m not the biggest fan of pumpkin spice lattes or pumpkin pies, I love pumpkin cake. 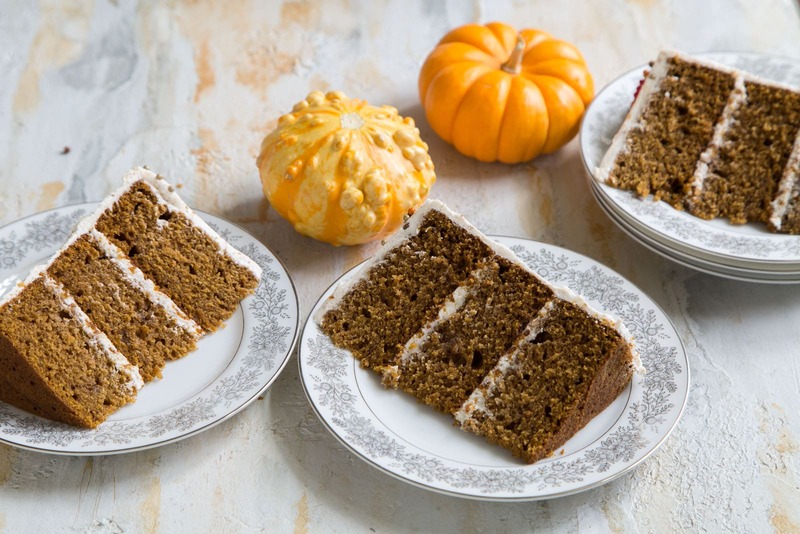 I’ve made several variations of pumpkin cake throughout the years. 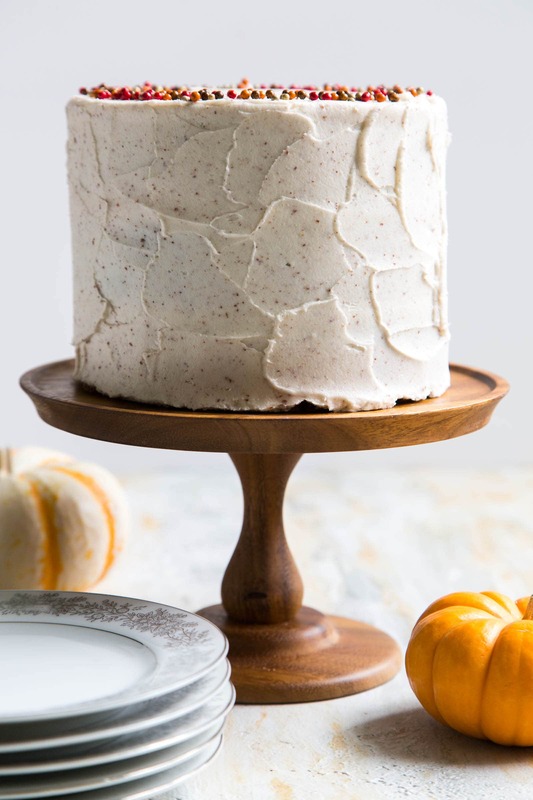 (See: chocolate pumpkin cake, cinnamon maple pumpkin cake, butterscotch pumpkin cake) I love pumpkin cake so much that the top layer of my wedding cake was pumpkin. 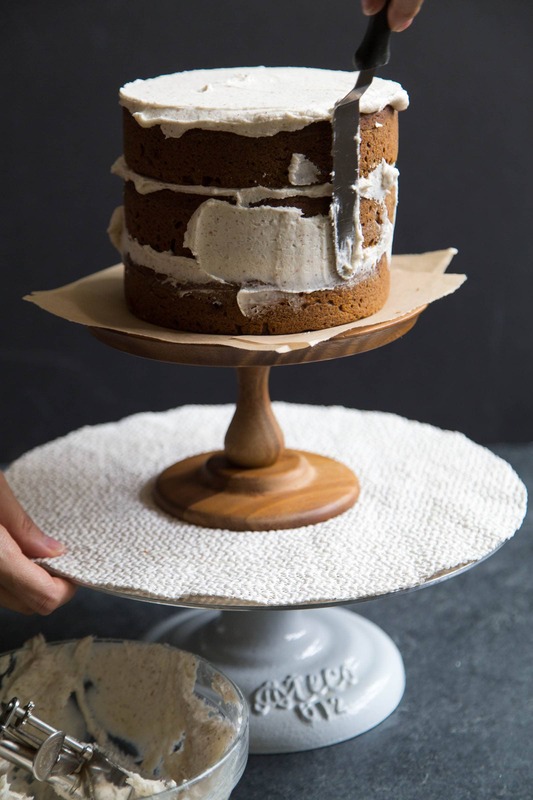 This brown butter pumpkin cake is unlike any other cake I’ve shared on the blog before. It’s made with BROWN. BUTTER. BUTTERCREAM. It’s the most luscious, delicious, exciting buttercream I’ve yet to taste. What is brown butter, you ask? Butter is comprised of water, butterfat, and milk solids. To make brown butter, unsalted butter is melted. As the melted butter is heated, the water evaporates and the milk solids separate from the butterfat (creating clarified butter). As you continue to heat this mixture, the milk solids “cook” in the fat, thus turning brown. These little golden brown specks are like liquid gold. They create this rich, nutty, deep flavor that heightens and intensifies all baked goods. I used a simple mixture of ground cinnamon and nutmeg to spice the pumpkin cake. The pumpkin cake is sweetened with brown sugar and maple syrup. I wanted to keep with the warm, autumn flavors. 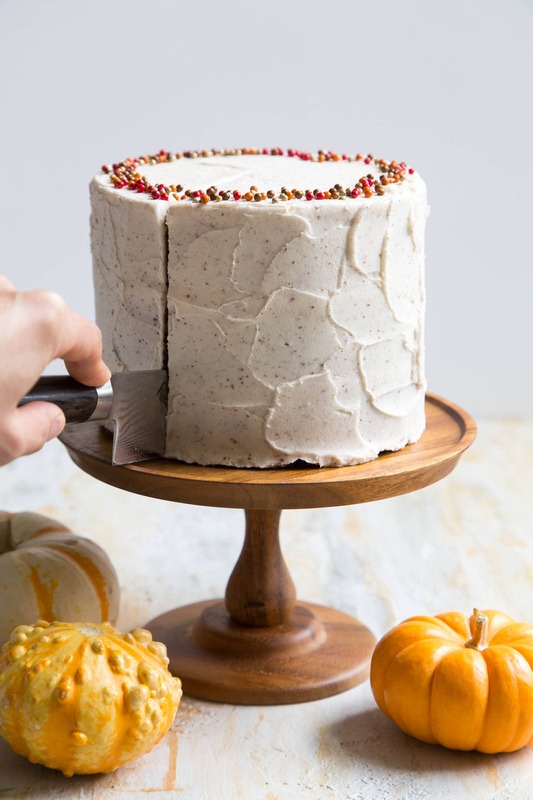 The real star of this cake is the brown butter buttercream. Can see you all the little golden specks in the buttercream? Preheat oven to 350 degrees F. Lightly butter and flour three 6-inch round cake pans. Tap out any excess flour. Line cake pans with parchment paper and set aside. In a large bowl, whisk together flour, cinnamon, nutmeg, baking soda, baking powder, and salt. Set aside. In the bowl of a stand mixer fitted with a paddle attachment, beat together coconut oil, brown sugar, and maple syrup until smooth. Scrape down bowl as needed. Add eggs one at a time, ensuring eggs are thoroughly incorporated. Add pumpkin puree and mix until combined. Batter may look curdled at this point. Add flour mixture in two additions. Mix on low speed until there are no longer any dry streaks of flour. Scrape down bowl as needed. Evenly distribute batter among prepared cake pans. Level batter as needed. Bake for 35-40 minutes until toothpick inserted in center of cake comes out clean. Allow cake to cool in pan for 10 minutes before unmolding. Remove cake from pan and allow to cool to room temperature on wire rack. Allow brown butter to cool to room temperature. Cover and keep chilled in the fridge until solid. Brown butter needs to be completely cooled before mixing into buttercream. Allow solid brown butter to soften at room temperature. Transfer to the bowl of stand mixer fitted with a paddle attachment (or use an electric hand mixer). Beat until smooth. Add powdered sugar, milk, and salt. Mix until buttercream is soft and fluffy. Scrape down bowl as needed to ensure thorough mixing. If necessary, level cake layers. Place one cake round on cake board (or serving plate). Spread a layer of brown butter buttercream over cake layer. Place second cake layer on top. Gently press cake layer down to secure. Spread a layer of frosting. Repeat with remaining cake layer. Spread a thin layer of frosting all over cake to seal in the crumbs (crumb coat). Let chill in the refrigerator for 15 minutes. Spread another layer of buttercream to coat cake. Decorate with sprinkles, if desired. Keep cake chilled until ready to serve. Allow cake to sit at room temperature for 15-20 minutes to soften before serving. This recipe makes three 6-inch layers. It also works for two 8 or 9-inch layers. Reduce baking time to 30-35 minutes. If you don't like coconut oil, you can substitute any flavorless oil like vegetable or canola oil. Brown butter buttercream has quickly become my favorite. I want to use it for all my autumn cakes! This is the most gorgeous cake I’ve seen all day! Nice call on the brown butter!!! I love how you have a section on what is brown butter. I can’t believe there are people who don’t know what it is!! One of my favourite things. Saved this recipe for Halloween. I will decorate it spooky. 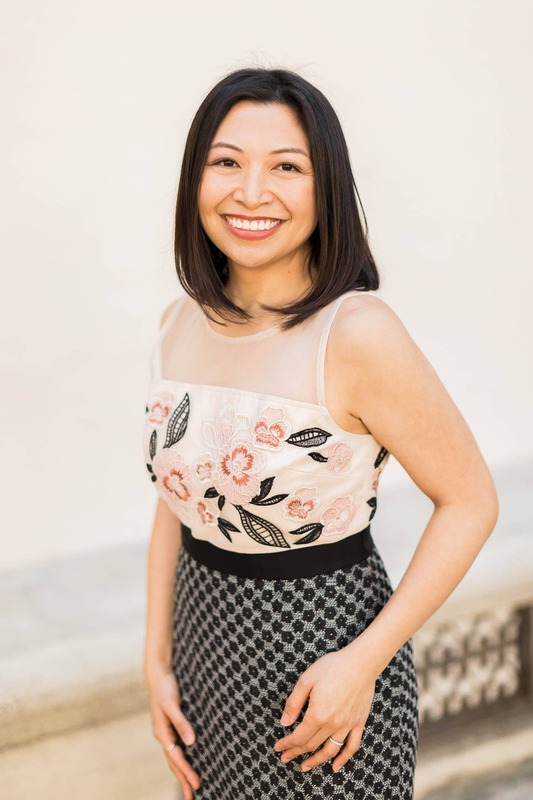 Thanks for this great recipe, Maryanne! About how long does it take to make this cake? It takes about 35-40 minutes to bake the cake. From start to finish, it took me about 2 hours to bake, assemble, and frost the cake.